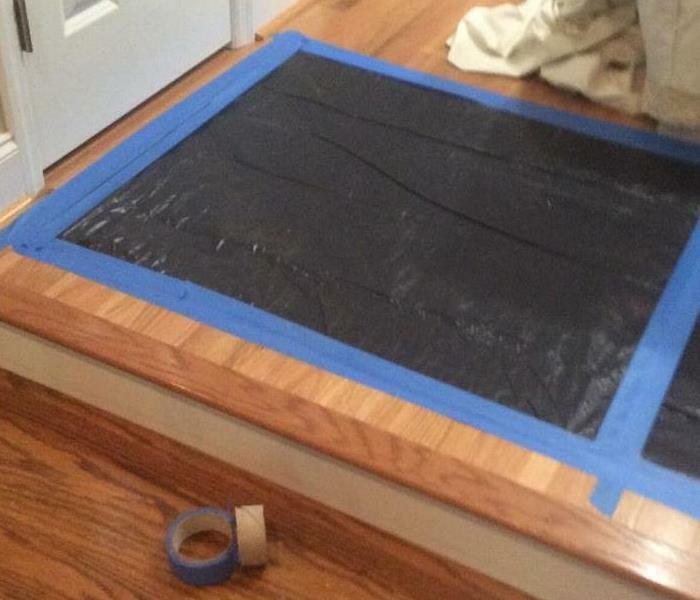 When water is absorbed into the floor in a home, it creates these bubbles which can let a homeowner know there is an issue. We had to remove the floor because of the damage. Garages are common to have storm damage. 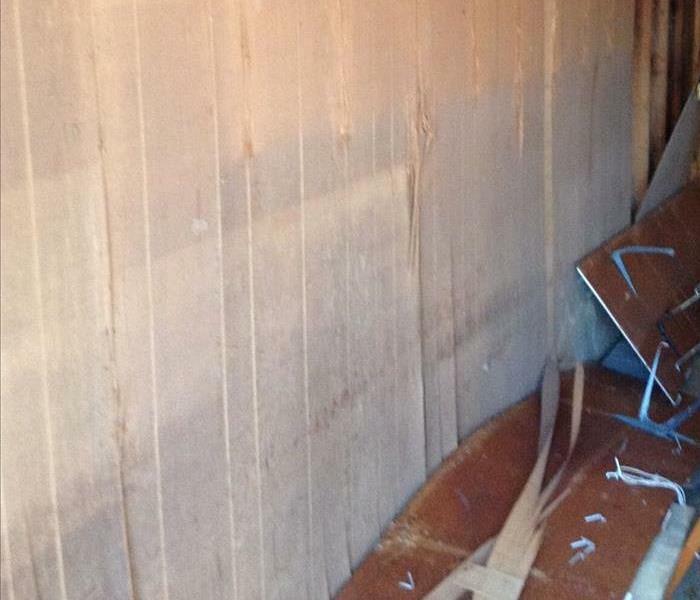 This storm was able to create severe water damage to the wall you see in the picture. We had to remove the wall due to the damage. Contents can have microbial growth on them. Here you can see a chair that has mold growing on it. The owner of the contents can decide whether the item is worth the cleaning or if it can be replaced. Contaminated water can have bacteria that is dangerous for a homeowner. When a storm rolls through an area and a flood happens, a large amount of drywall needs to be removed for the safety of the customer. 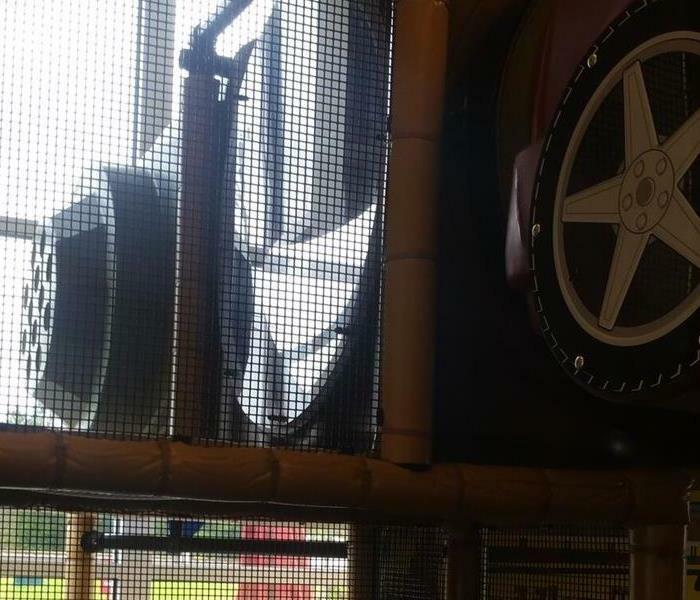 Fast food restaurants have the kid zone playing equipment that needs to be cleaned. SERVPRO of Dublin, Vidalia, Claxton cleaned this equipment to kill any bacteria growing on it for the health of the children. 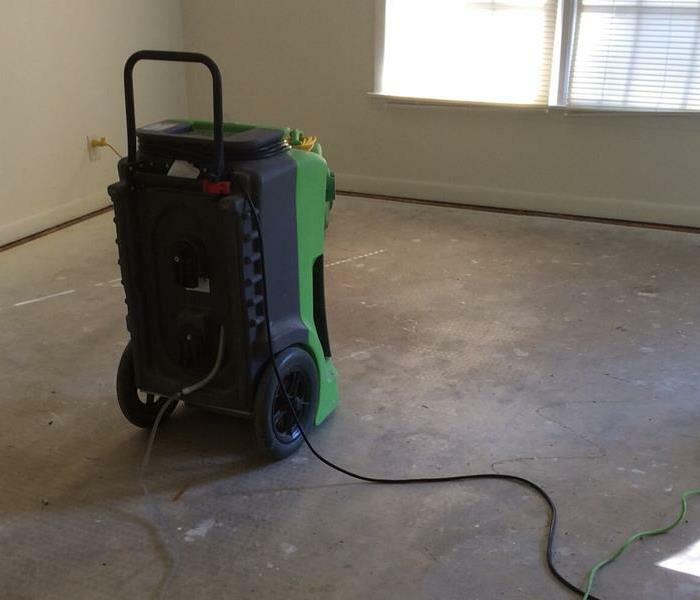 SERVPRO of Dublin, Vidalia, Claxton had contents that needed to be cleaned from a commercial property. We arrived on site to gather the items and take them to the warehouse. Once at our warehouse, we cleaned the contents and returned them. Water loss can be a minor or major repair. This home needed the floor removed and equipment placed. The equipment assisted in the drying cycle. We love our SERVPRO drying equipment. 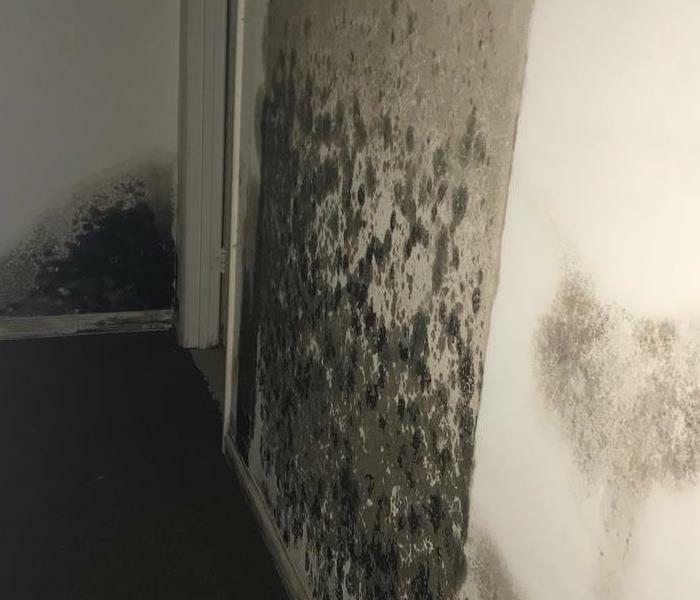 Homes that are vacant for a significant amount of time are more susceptible to microbial growth because no one is there to ensure the humidity level is low, and there aren't any water leaks. When a fire sparks in a home, most of the contents will need cleaning. 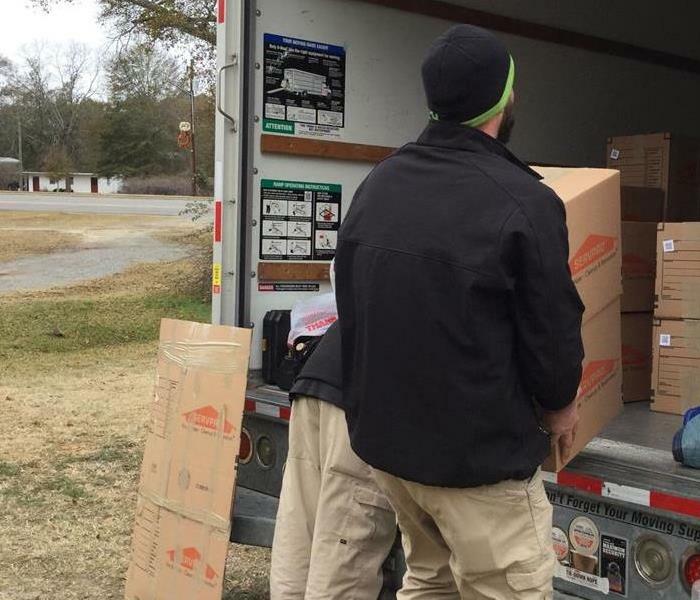 We pack the items in SERVPRO boxes and take them to our warehouse. Once they are at the warehouse, we clean the items to repair them. 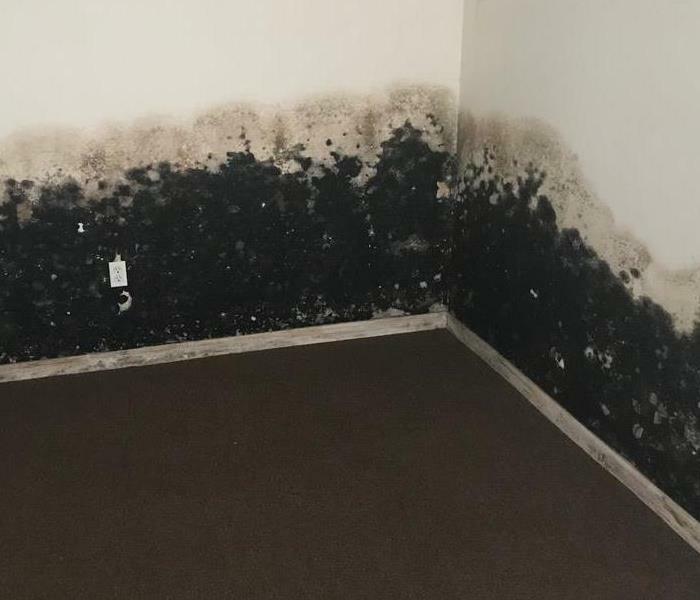 Microbial growth can easily take over a vacation home when the homeowners are away. This is true for this home. 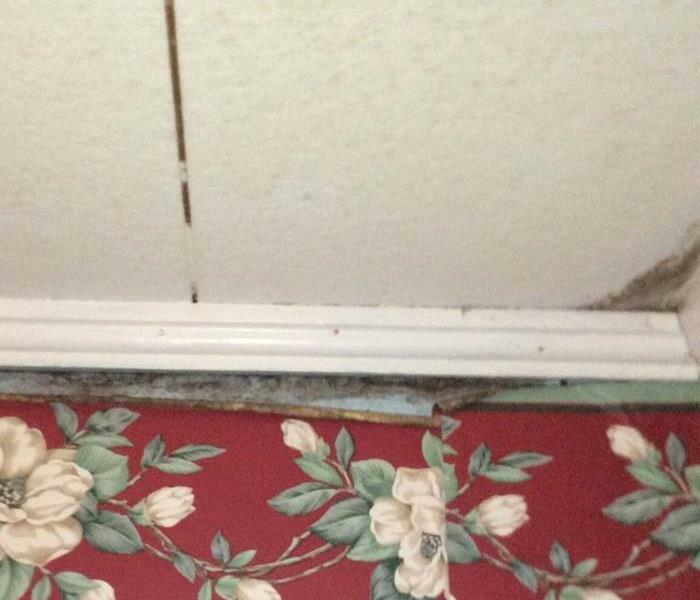 The homeowners returned to the home to find this mold growth and immediately called SERVPRO to begin work. The home in this picture had been left vacant for some time. A water pipe burst and was left running until a neighbor spotted the water in the yard. The neighbor called the homeowner to inform them of what happened. Our Rover weighted extraction equipment is used tremendously when a storm passes through. We use this to extract water from carpet that was saturated due to a leak from the weather. 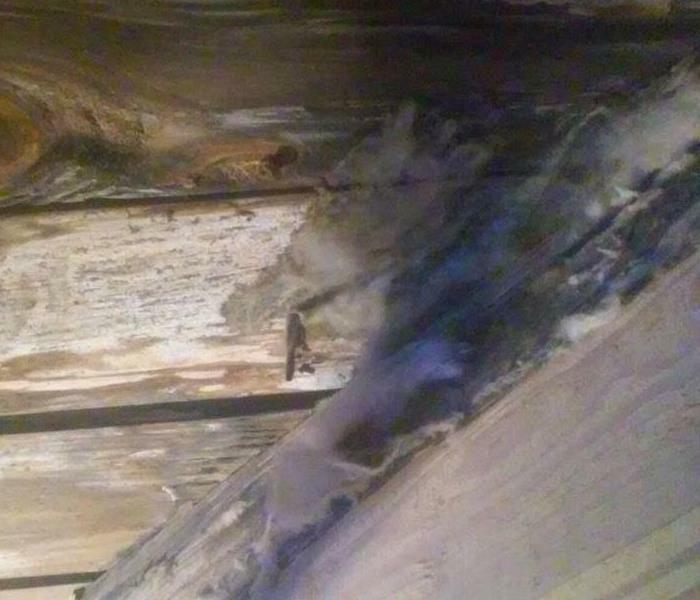 The homeowner was cleaning in the crawlspace underneath the porch when he saw microbial growth. He called SERVPRO of Dublin, Vidalia, Claxton to remove the mold and clean the area that was affected. 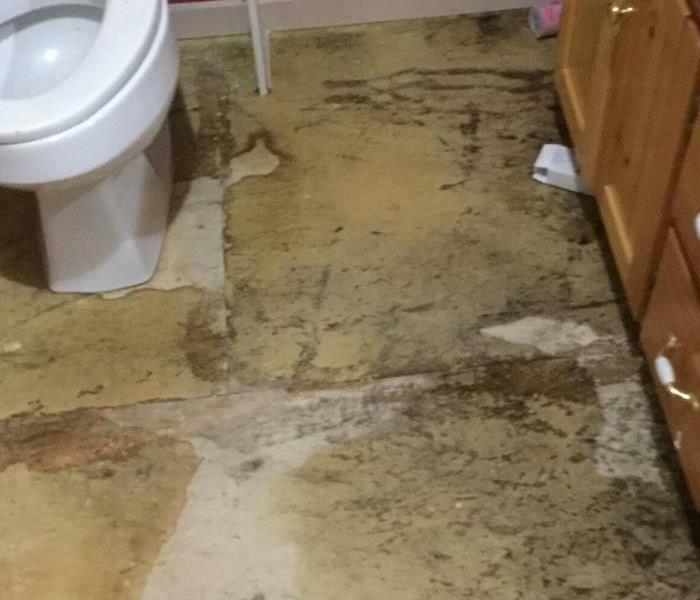 Microbial growth was occurring in this homeowner's garage bathroom that was rarely used. Because it went unnoticed for some time, the damage was extensive. 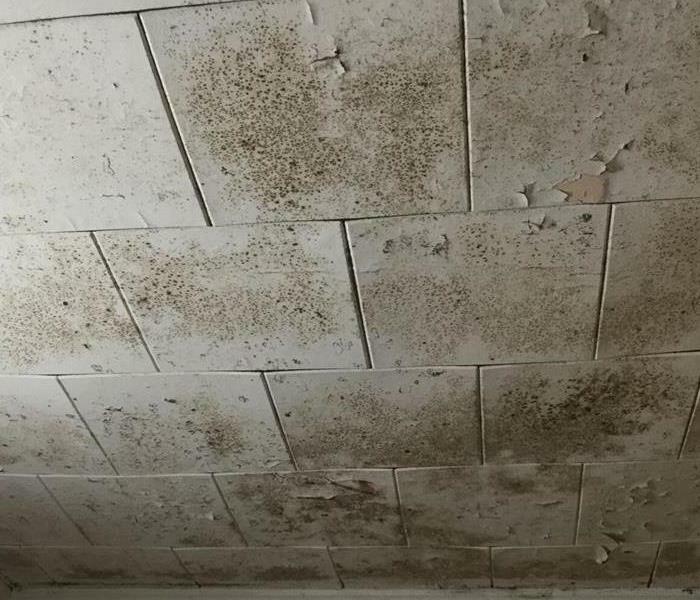 We removed the entire ceiling and cleaned the bathroom with SERVPRO approved cleaners to reduce the likelihood of microbial growth to return. A horrible thunderstorm came barreling through Dublin which caused significant damage to the roof of this home. 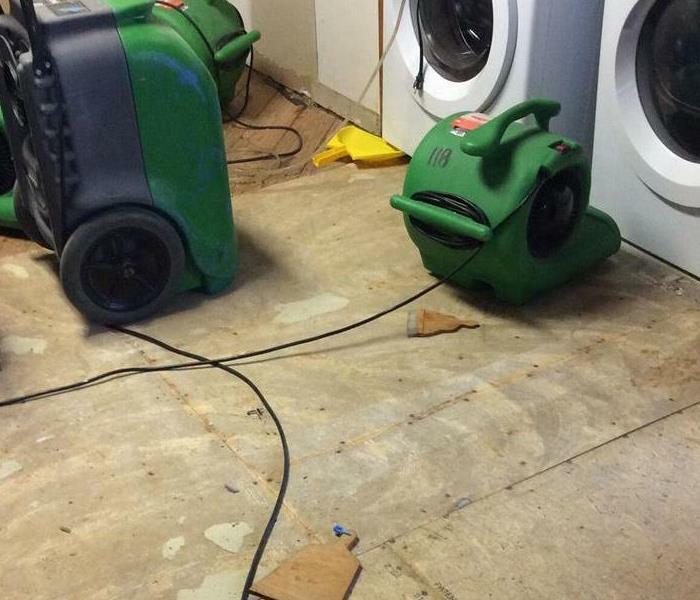 The roof damaged caused a large amount of water to enter the home and destroy the flooring. We removed the flooring and cleaned the area. 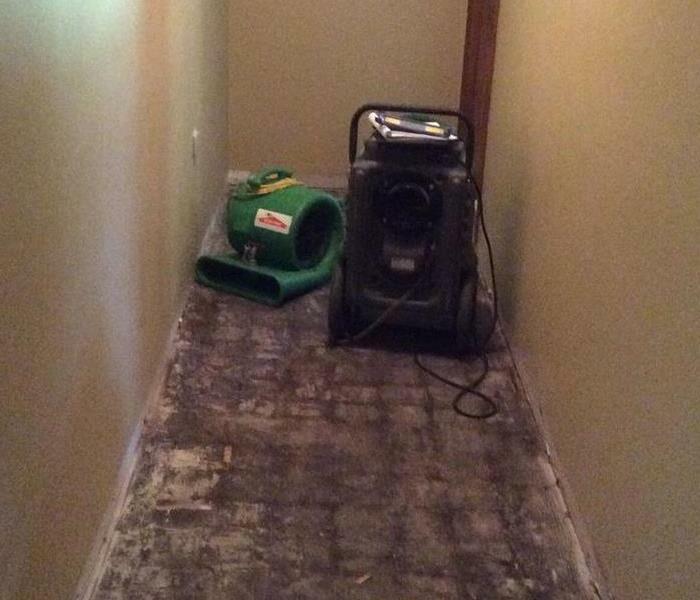 A sewage back up in this home needed floor removed due to the contamination of the water. We were able to remove the contaminated water and then the flooring to properly clean the area. A fire ignited in this bedroom that destroyed many of the contents. SERVPRO of Dublin, Vidalia, Claxton came into the home to repair what we could and clean the areas. We were able to remove the smoke scent from the home. Our crews went to help an area that had been impacted from a tornado. Our vans were loaded down with equipment ready to get to work. By the end, we were loaded with debris left from the storm. 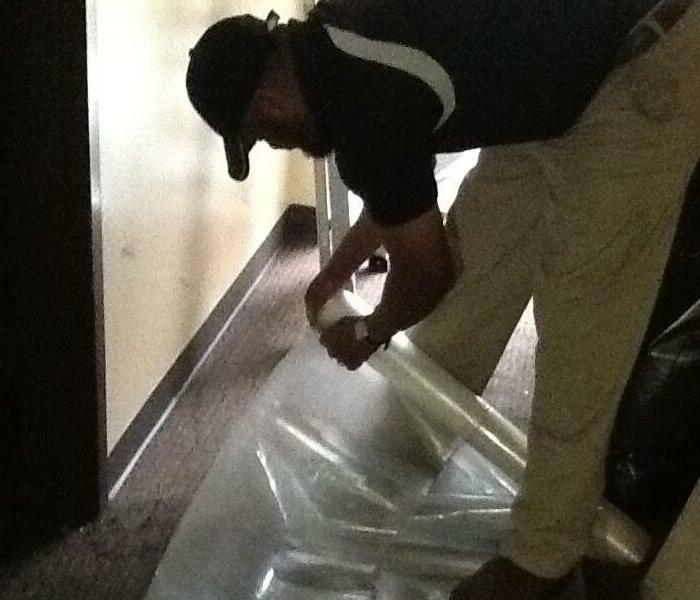 Our SERVPRO technician is getting a containment barrier ready to be placed. 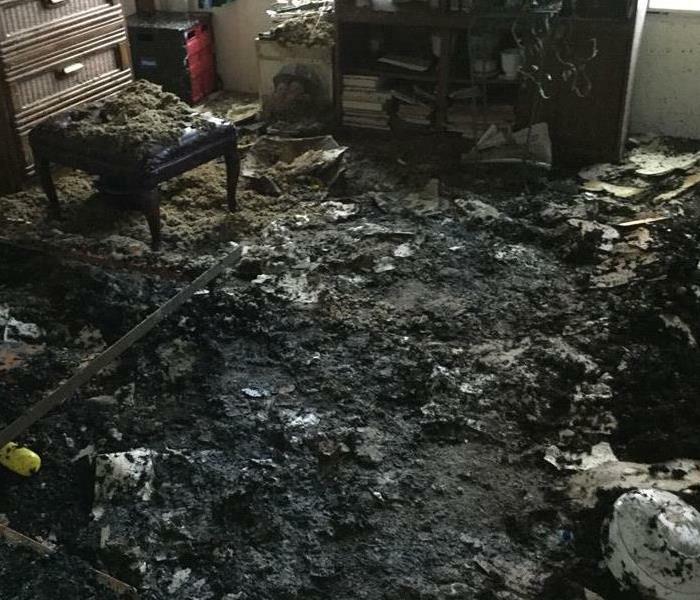 An office was destroyed due to a fire, but the fire was contained to the one office. We placed a containment barrier so smoke and soot would not be able to venture out to different places at this place of business. 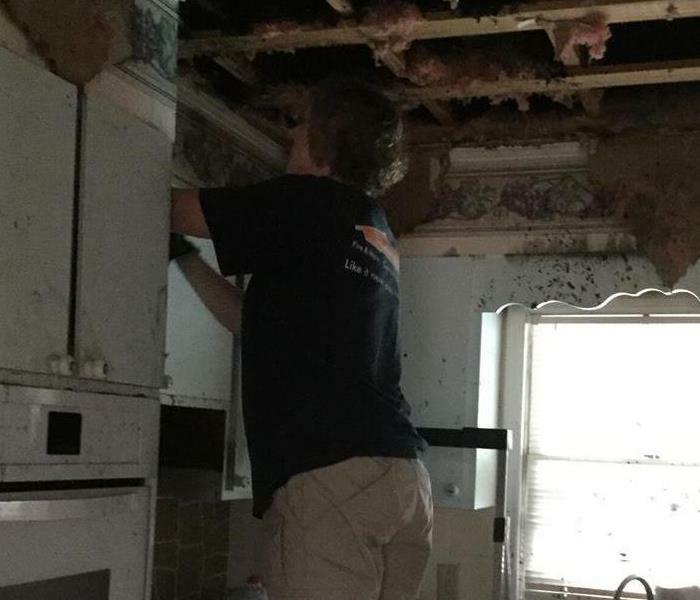 SERVPRO of Dublin, Vidalia, Claxton restoring this home that was damaged due to a kitchen fire. The soot and smoke extended through the entire home which caused for a major clean up. SERVPRO came into a fire job to inspect the contents. We packed up the contents that needed cleaning and loaded them into the van. 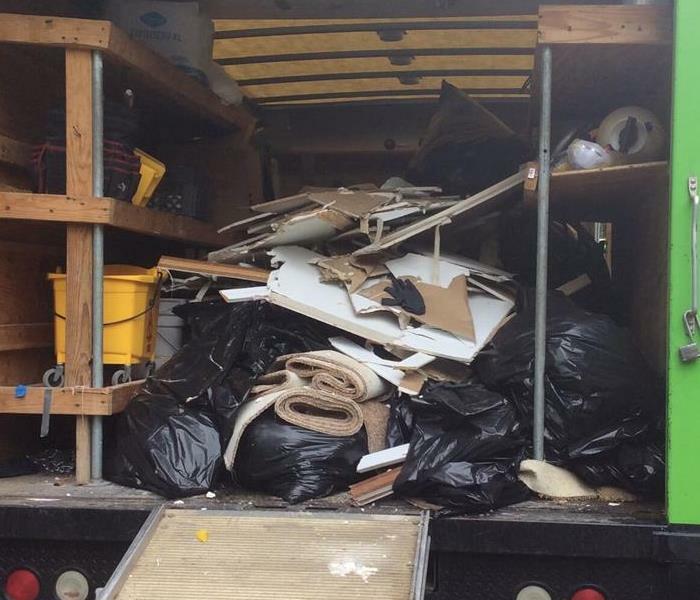 We transported the contents from this home to our warehouse to begin cleaning them! The homeowner was using the stove when a small kitchen fire sparked. Luckily, the fire was extinguished fast so the damage was not extensive. 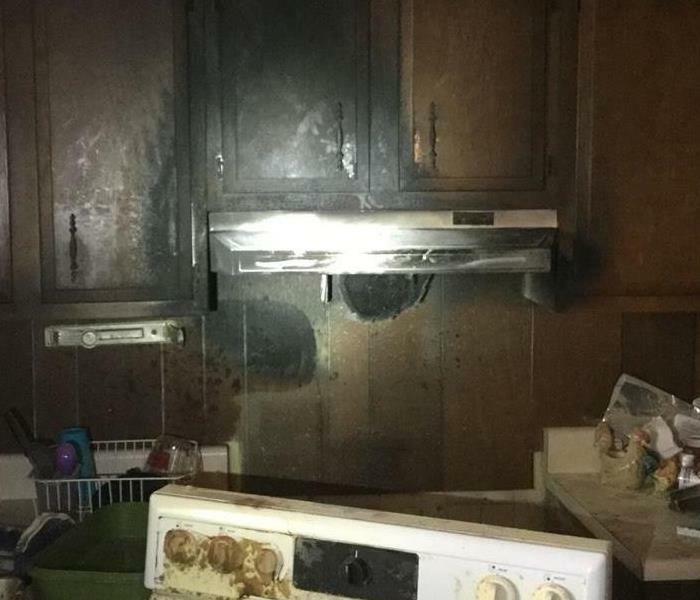 This shows how fast a fire can damage your kitchen. An apartment complex called SERVPRO of Dublin, Vidalia, Claxton to clean the unit a renter had just moved out of. Upon inspection with the landlord, he decided the carpet was wet from a leak coming from the ceiling the renter had failed to report. SERVPRO removed the carpet and placed equipment to dry the area. 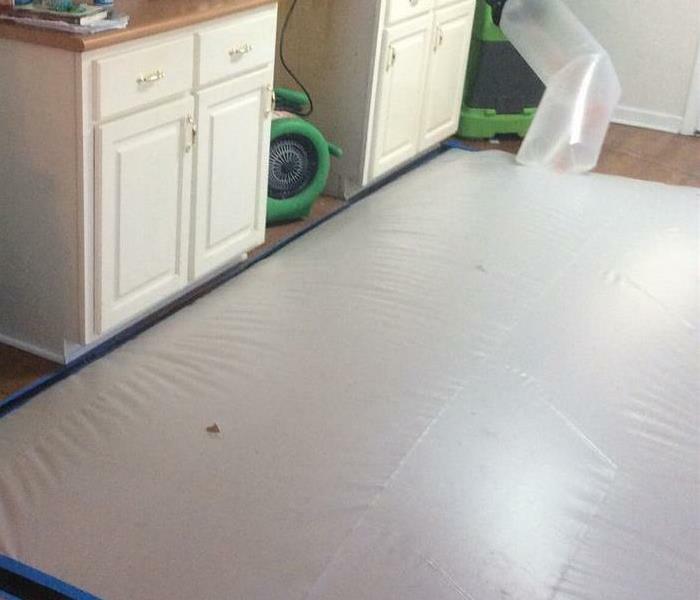 SERVPRO of Dublin, Vidalia, Claxton uses a tent system in order to dry certain types of floors. This puts hot dry air on the affected area which helps the drying process. 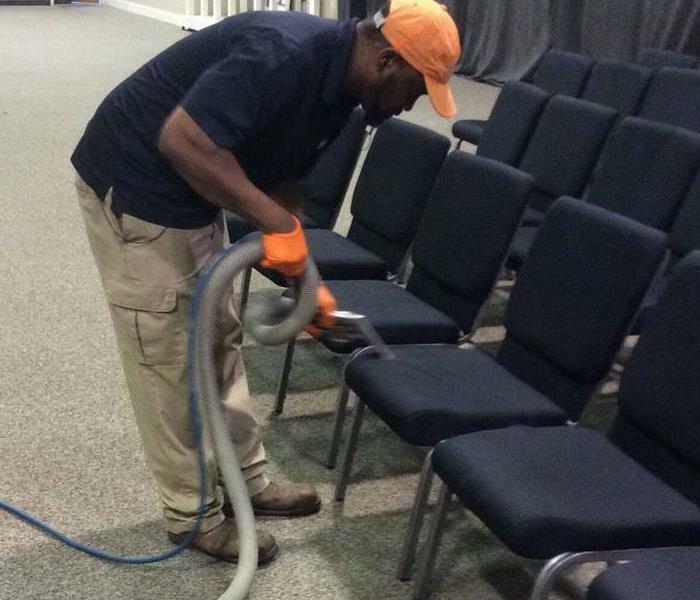 Our technician cleaning chairs in a church. We were called into the church to do a carpet cleaning and cleaning of the chairs. Here you can see our technicians vacuuming the chairs to clean them. 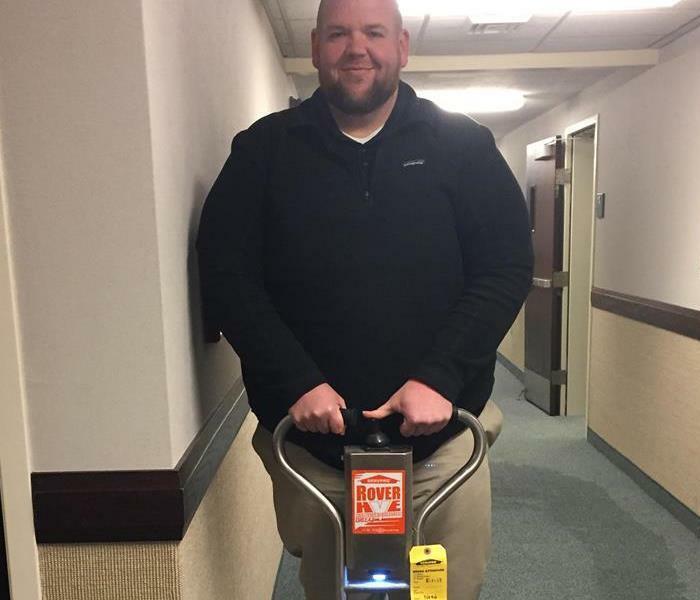 Our SERVPRO work vehicles are a big reason on why we can do work efficiently and quickly. This was our van during a storm clean up job at a home located in Dublin. 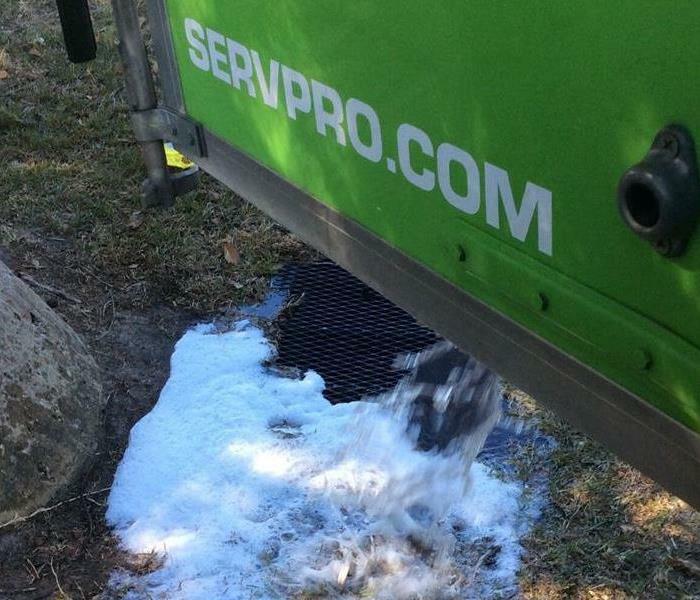 Our SERVPRO equipment is part of the reason we can work proficiently, effectively, and quickly. Our equipment works wonders with assisting in drying and cleaning to help our customers have a clean home. 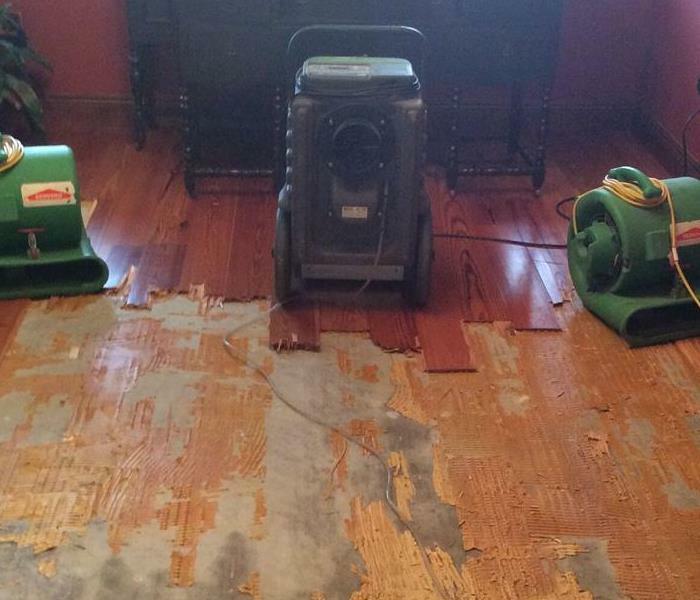 SERVPRO of Dublin, Vidalia, and Claxton had to remove a portion of the floor in this bedroom. We sealed the area to ensure proper drying would be completed to finish the job! 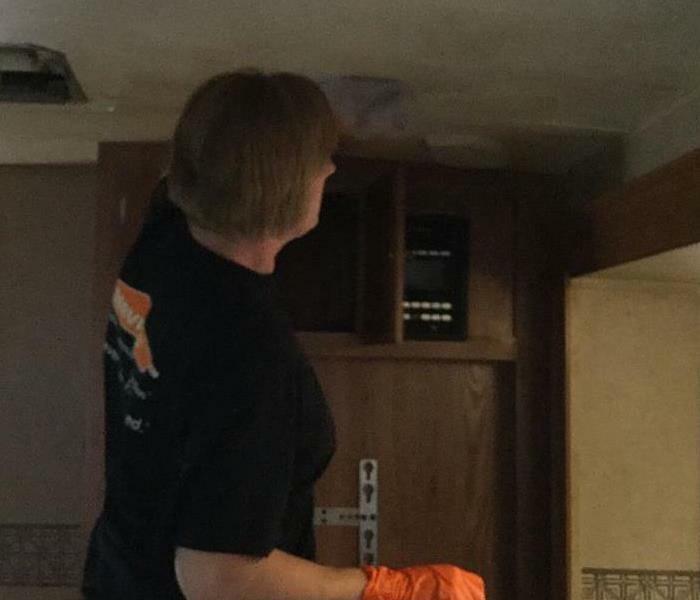 Our technician cleaning soot residue left on the ceiling from a small kitchen fire. The technicians always use the proper technique and cleaning material to ensure the homeowner loves the work completed by us. 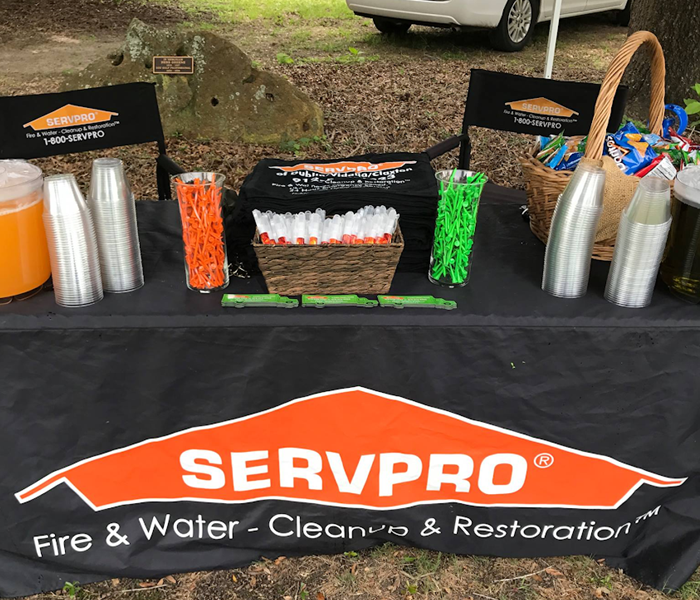 This past July, SERVPRO of Dublin Vidalia and Claxton were sponsors for a golf tournament held at the Country Club in Dublin. We had such a great time at this event! We look forward to many more opportunities like this with our community.